We’re having a beautiful October so far here in Portland, and the kids are very excited about Halloween! Most of the excitement is about making decorations for the house. 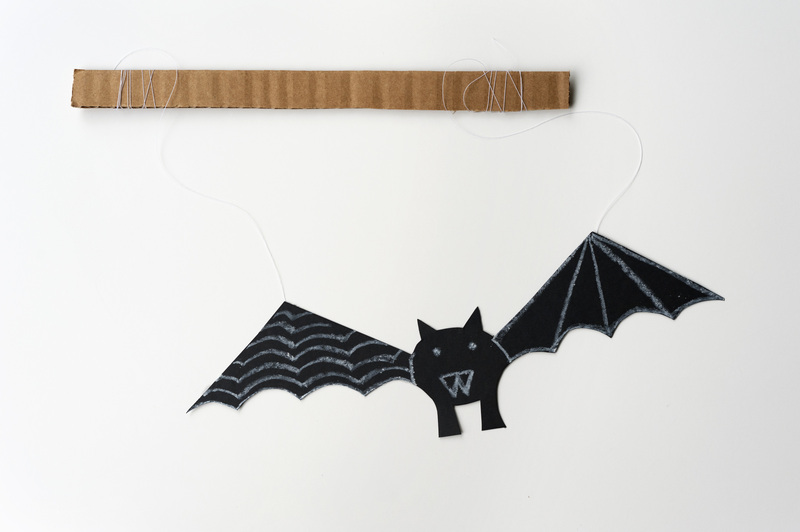 My son and I were going to make some paper bats for the window, and I decided to turn one of mine into a puppet. 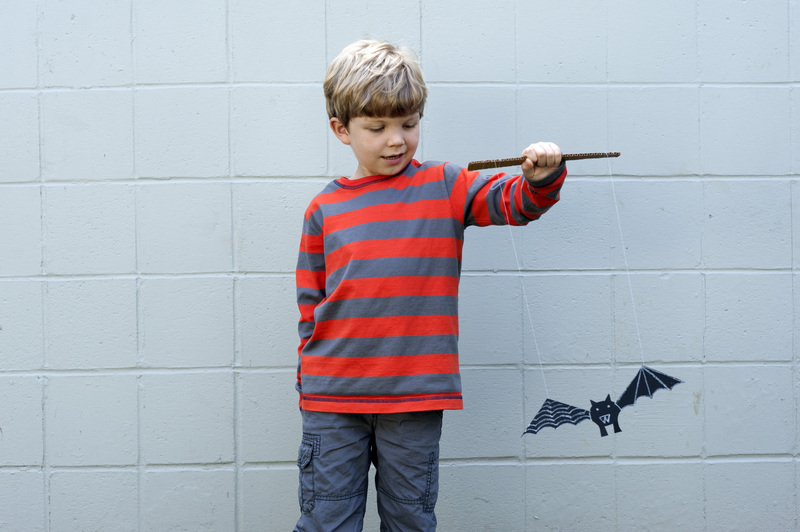 Flying it around is quite fun – like a combination of a marionette and a kite. There’s a template below with instructions if you want to try it out. All you need is paper, tape, thread, and a stick or strip of cardboard for the handle. I printed mine directly onto black paper and could still see the cut lines. Then we colored the bat with a white crayon. 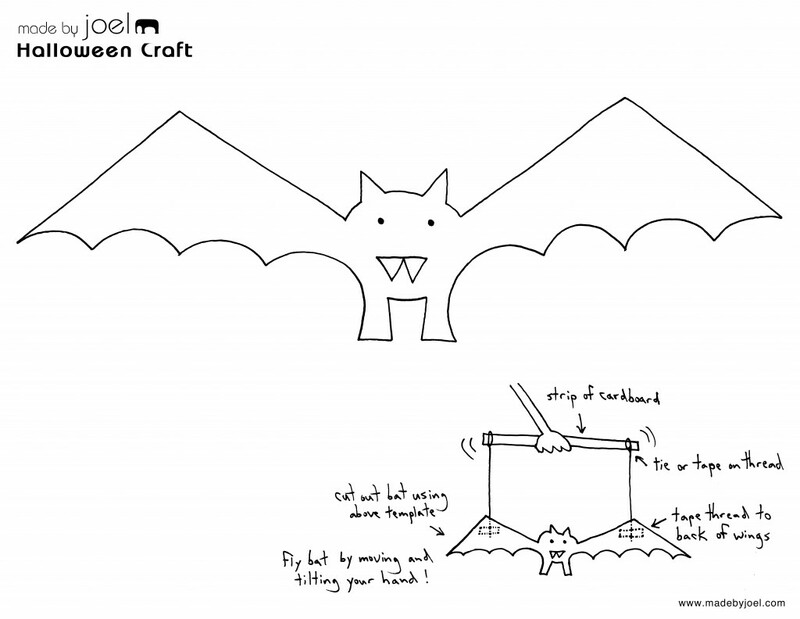 You can also see if your child wants to draw their own bat to cut out for a puppet! We'll try this one, for sure! I can't wait to show it to Ruben tomorrow. He loves bats! Also, WOW, Jack looks so big and grown up! Thanks everybody! Hey Maiz - Nice to hear from you. Yeah, Jack is looking older these days isn't he. Say hi to your boys from me! I love it, and so did the children from my nursery here in London ! thank you for sharing your great ideas ! Cool! Thanks for the note Claire!